Kim and Jenny. 3' by 5'. Cotton cloth, mixed fiber used clothing, cotton thread, cotton batting. Kim and Jenny. Second in a series of women. 3' by 5'. Cotton cloth, mixed fiber used clothing, cotton thread, cotton batting. Poppy. Approximately 4' by 4'. Cotton cloth, mixed fiber used clothes, cotton thread, cotton batting. 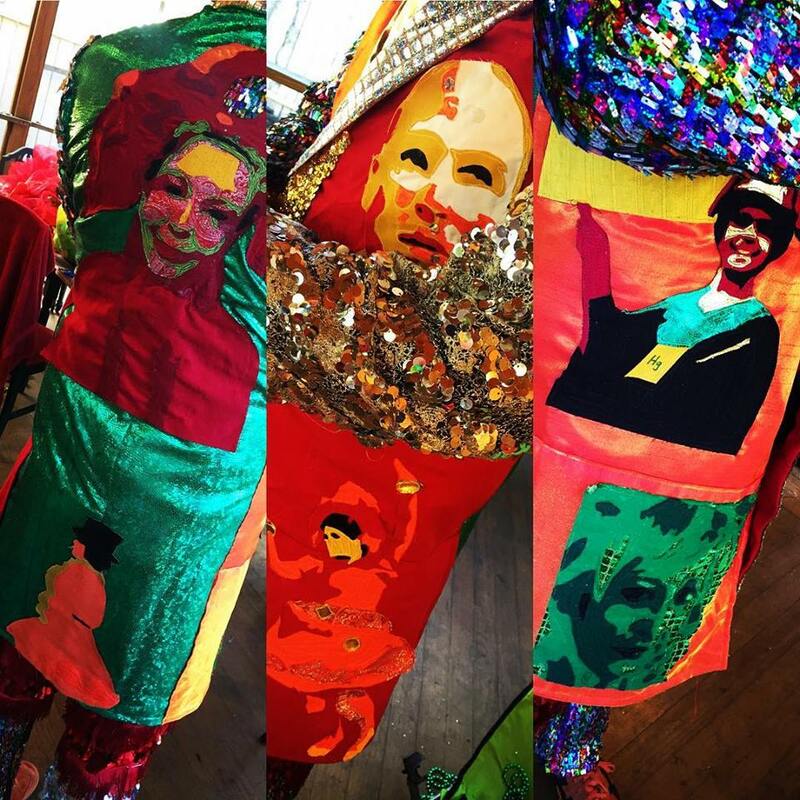 2016 Mardi Gras costume with portraits of friends from past Mardi Gras days, using fabric from my past Mardi Gras costumes. One of 6 portraits in fabric on my MG day costume, 2016. Mardi Gras day 2017, with embroidered portraits. 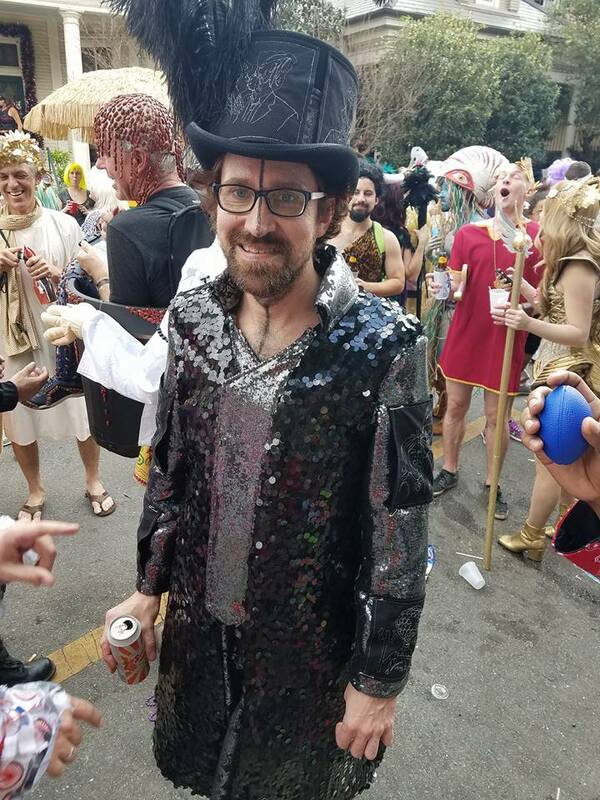 One of 8 embroideried portraits on my 2017 Mardi Gras Day costume.